The definition of inseparable is very close or not able to be parted. 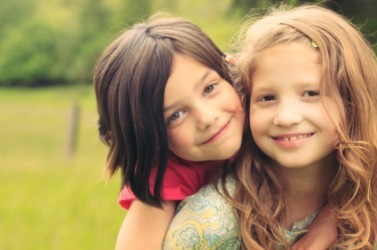 An example of inseparable used as an adjective is in the sentence, "Those two girls are inseparable," which means that those two girls spend pretty much all of their time together. "inseparable." YourDictionary, n.d. Web. 25 April 2019. <https://www.yourdictionary.com/inseParable>. Impossible to separate or part: inseparable pieces of rock. Very closely associated; constant: inseparable companions. Unable to be separated. Bound together permanently. From Middle French inséparable, from Latin īnsēparābilis. Constructed as in- +‎ separable.